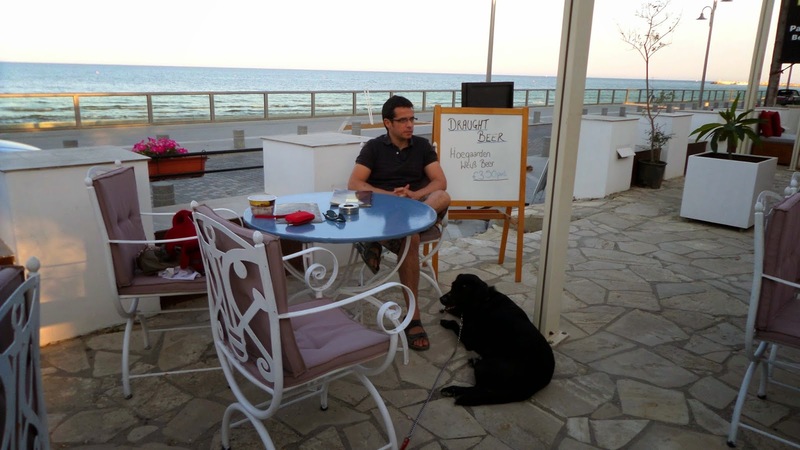 Recently my criteria for choosing a bar to go to in Cyprus just became a little bit harder. Sage just loves football, so at the moment I'm looking for places that not only accept pets, but that are also showing the World Cup. I'm on the look out for dog-friendly bars with garden or terrace areas, and screens outside. Extra points goes to bars with good cheap food, friendly service, and wide range of drinks, of course. 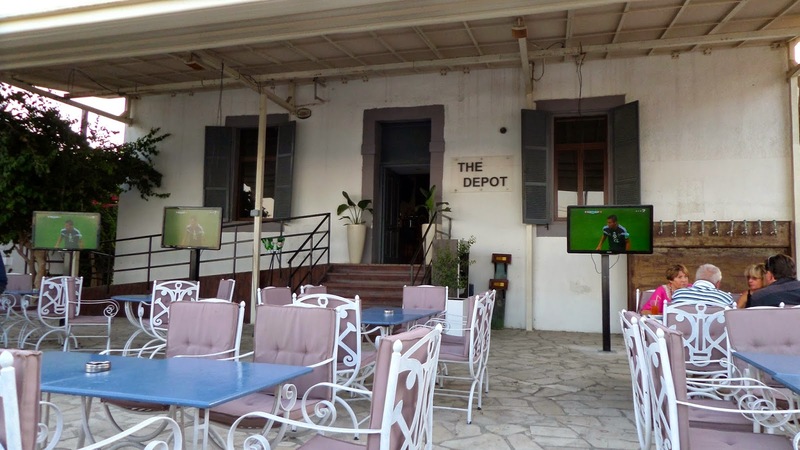 We have tried out a couple in the last few days, and our current favourite is The Depot, which is on the beach road just beyond the Fortress at Finikoudes (in the direction of Macenzie Beach). 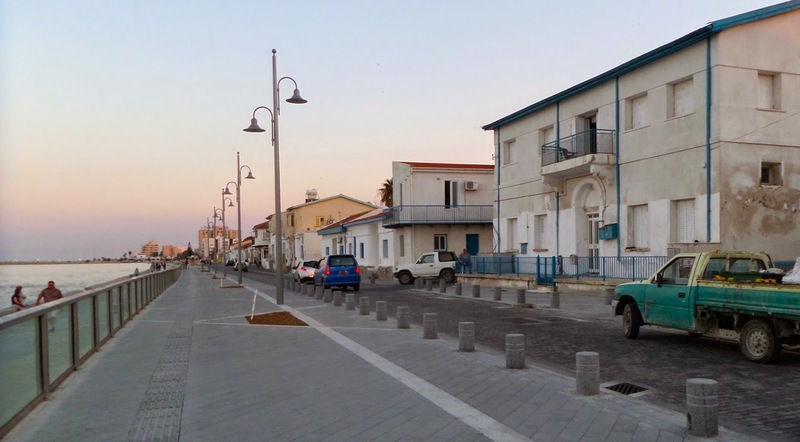 This bar/grill is in a lovely location, especially now work has finished on the walkway by the sea here. If you are not a football fan, you could happily spend your time looking out over the water, and people watching. This 'promenade' was also quite good for a halftime walk with Sage! Staff at The Depot were very friendly to us, petting Sage, and offering to bring her water. There was plenty of space for Sage to sit out of the way of the other customers, while we still had a good view of the (3!!!) large screens showing the World Cup. Drinks were fairly cheap here, about 2.5€ for a large Carlsberg/Keo beer, 2-3€ for a coffee. We also ordered some amazing homemade chips and grilled vegetable wrap, and both dishes cost under 5€. Attention to detail is visible in the decoration both inside and out at The Depot. 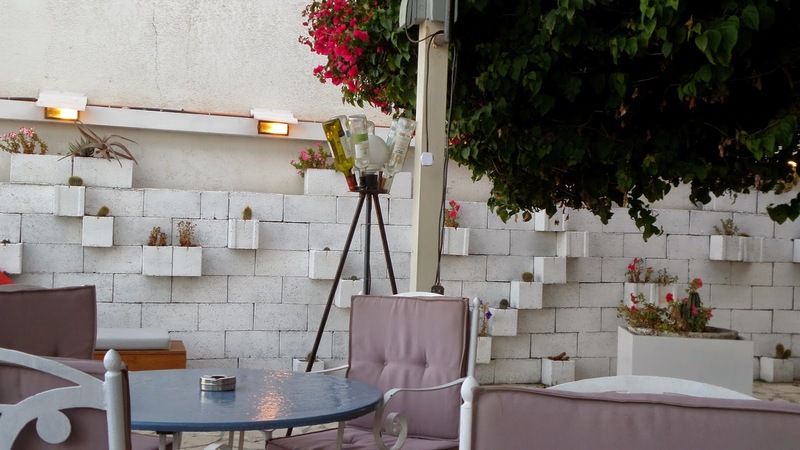 I loved the use of the breeze blocks from the wall as plant pots and the strange lamps from recycled wine bottles. The large central bar inside also fits well with the style and shape of the building. 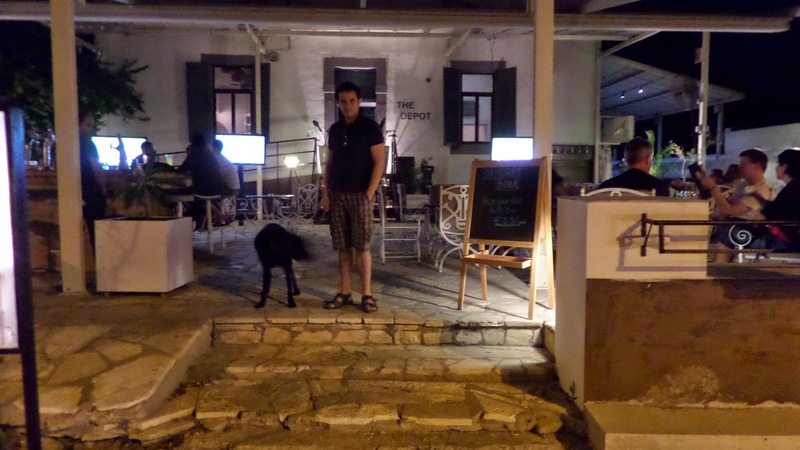 So, whether or not you want to see the games, I recommend this bar for food or drinks, with your dog. What a fabulous spot! We haven't found a pub yet that isn't too noisy for the pups to watch with us. Still searching... and the searching is fun! Exactly - all in the name of 'research'! !